Can you get a job in Japan without knowing Japanese in 2018? The short answer is a resounding YES, but there is more to it than that. You can get a job without needing Japanese, but if you have already decided (or heard from others on reddit or Facebook groups) that you can only be an English teacher in Japan without speaking the language, you’d be dead wrong. Read on to discover why. There are plenty of opportunities if you speak English or have other useful skills. Martin and Charlie (Live Work Play Japan founders) personally know dozens of foreigners who can’t speak a single word Japanese working every possible industry in Japan. Having said all of that, once you have been in Japan for a while we recommend you learn at least conversational Japanese. Japanese is very much a lingua franca for Asia and international business, and as the third largest economy in the world there are obviously massive opportunities here for people from every nation. There are even amazing jobs back in the US that require Japanese showing that it is really useful outside Japan and Asia as well. You can work in Japan without speaking Japanese but eventually you might realise that you are missing out on opportunities that ask for command of the Japanese language. Unfortunately for so many people, they won’t ever be told that their lack of understanding of the language is the reason why they aren’t getting promotions or job offers. Learning Japanese will help with that a lot, but it is not the only way. You don’t have to stick with it forever, but coming to Japan to teach English is the way that most people get to Japan. Once you are here, the world is your oyster! With the recently (2015) changed Humanities/International Services/Engineering visa, there are very few kinds of jobs that are off limits to foreigners who came here teaching English. In fact, this is how Charlie is able to run his freelance web development agency on the side. How To Get Your First Job In Japan! Have you been dreaming of living in Japan, but can't speak Japanese and have no idea where to start? 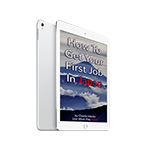 This FREE ebook will teach you everything you need to get your first teaching job here in Japan! Our Off-The-Wall Strategy that Works! It is, in part, a numbers game. Some will not welcome you but eventually you will find someone who will. For some people that’s just fine, they don’t feel a need to learn Japanese because their current job and social situation don’t demand it. For me this is great, because I wouldn’t have opportunities to interpret Japanese if it weren’t for all the people who say “I refuse to learn Japanese” working in Japan. Actually Charlie is finding now that while his Japanese is good enough to do most things day to day, it is a real struggle to do work with Japanese clients because his business Japanese just isn’t up to task. 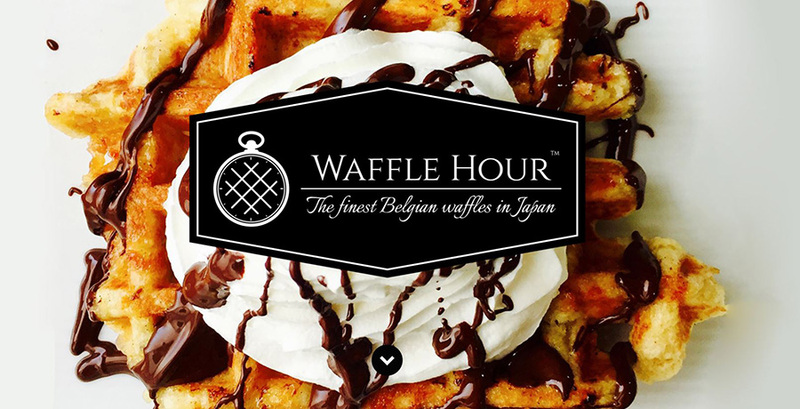 A friend of mine has a business baking waffles in Japan, and he doesn’t teach English at all! The irony I find about this is that these long-term Japan assignments can be really hard to find for us Japan enthusiasts in our home countries until you get into a company. Just because you started working at the German branch of Matsuda, does not guarantee you can get a long term assignment to Japan. If this is you and you want to start in a long-term assignment in Japan straight out of college, there is a way to find them. If teaching English isn’t your thing, don’t worry. It’s not for everybody. Some people sadly only figure this out after years and years of teaching, only to discover that they just wanted to live in Japan and work, and never wanted to teach English at all. Don’t be disparaged, and don’t blame Japan – taking responsibility for your choices is the first step to making a change. If you chose to teach English but found out you didn’t like it, then make a choice to do something else. Why force something that isn’t right for you when there are so many opportunities for people with other skills too? If you were an artist back home, why not try to make some art in Japan? Maybe one option is to start out as an English teacher following the advice of the sites and article above. I know plenty of teachers who teach English as their day or night job but follow their passions in their spare time. The ultimate way to get inside the culture and find the best opportunities is to learn the language. Japanese culture is embedded in the language and until you understand what people are saying in their own native tongue, you won’t understand their true feelings. Even if they don’t tell you (and likely, they never will), Japanese people really feel much more at ease when you can speak to them and communicate in their native language. For many Japanese, even the thought of having to speak English at all can be stressful, so if you can speak Japanese you will instantly put them at ease and open up possibilities that you would never find if you could only communicate in English. Now, if you just take 10-30 minutes a day to listen to native audio, you would be absolutely amazed at what can happen. I highly recommend two courses that both Charlie and I have been using for years: JapanesePod101 and Glossika Japanese. Audio lessons are the best for sounding like a native speaker and not slowly reciting grammar structures and trying to remember words that you memorised from a list. That isn’t how you learned your own language, you learned from listening and copying! Charlie came to Japan without speaking a word of Japanese and couldn’t speak any other language (past Spanish at a toddler’s level) before landing. After practising speaking from audio courses like Pimsleur, JapanesePod101 and Glossika his Japanese level went through the roof! Taking volunteer classes at the local ward office helps a lot too, as you’ll get access to native speakers at very cheap prices (as little as 200 yen per class). Some of the classes aren’t great, but if you find one you like and just try talking and communicating you’ll see an improvement very quickly. Now Charlie is building his own businesses in Japan using even his decent conversational, but by no means business level Japanese. Even a simple conversational level will help you deal with most of the problems that you would have not being able to speak at all, and if you’re looking for jobs they will appreciate and feel more relaxed the more Japanese you can speak. 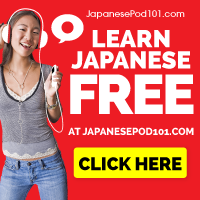 If you aren’t sure how much you want to invest in learning Japanese, the link below to JapanesePod101 is a great start to get you learning to listen and speak almost immediately for just $1 for the first month for Live Work Play Japan readers! Take Jon for instance. 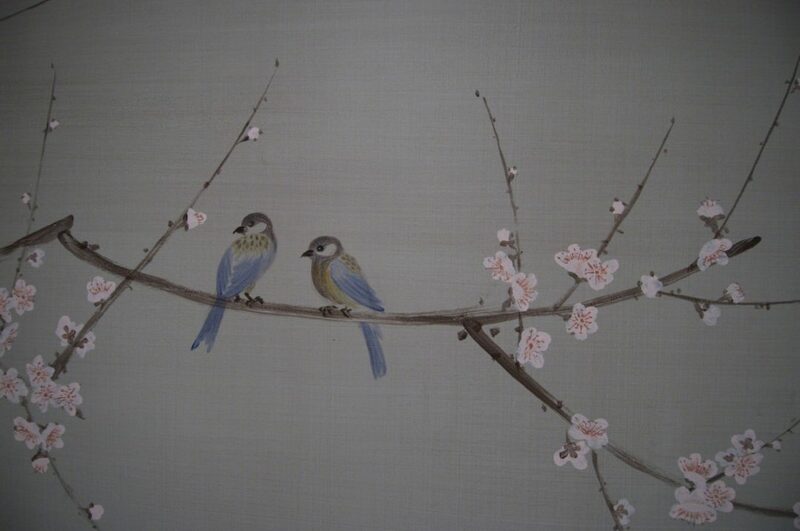 He was an amazing artist back in the US and had his own business for years but in his late thirties he started becoming ever more curious about Japan. He then met a nice Japanese lady on a language exchange forum – language exchanges can go in many directions as you see. They hit it off and he takes the plunge to move to Shibuya. I ended up being an ALT at the same school he was. Jon loves kids so he had an awesome time with it but later he showed me his portfolio online. I was stunned. I thought, “What in the world is this guy doing teaching English? He should be out in Tokyo selling artwork or painting the interior of the Hilton or the New Otani Hotel!” Jon told me he just was teaching for now but later he hoped to build a freelance business on the side in Tokyo. I knew he could do it. Upon writing this post, I contacted Jon to see where he was at. This was years ago that we talked so I had no idea. Well check it out, he did exactly what he said he would do. He married the girl and now only works on his passion and makes a living for the both of them. Well done Jon! Perseverance is key. Check out more about Jon below and Seagull Studios here. There’s always a different path. Jon get’s by as an artist. What can you do? While I was teaching with Jon, I worked with a guy called Kevyn at Platinum as a real estate agent targeting expats looking to buy and rent, mostly in Shibuya and the Minato wards. Kevyn came to Japan as a JET teaching English in the 90’s. Then he ended up teaching at ECC. He not only taught, but eventually he moved up the ranks and ended up managing other teachers and eventually becoming a top sales rep where he would sell ECC’s services and promote teachers to school districts all around Tokyo. Then he met the owner of Platinum and eventually started out as a broker for them. Now Kevyn is a partner. He hasn’t taught English in nearly a decade! Things change. You come to Japan just to do one thing. Next thing you know, your owning a business in an entirely different field. It is the story of countless expats all throughout Asia and Japan is certainly no exception. I was actually a home room kindergarten teacher at private international school. We taught all subjects via English. A bit different than teaching English, but similar. Next I became an ALT for a short time and moved to Tokyo. My boss was kind enough to introduce me to Kevyn when I was looking for a place to stay in Tokyo. I ended up going with a different agent’s place. Sorry Kevyn! As I said in a previous post, always use multiple brokers when searching in Japan. Later Kevyn offered me a job! I taught in the mornings at an elementary school in Shibuya and went to the office to work on real estate cases at night… and the weekends, and I loved it. I was learning a lot. Once I got a taste of what expats can do in Japan as I was exposed to so many entrepreneurs and people working in all different fields while I was a broker, so naturally I couldn’t remain as an ALT much longer. I lasted 5 months before I later went to work in the corporate world in Japan. I got the job through a real estate client. Over night, I tripled my income and ended up living in my dream area at that time, Ebisu. Now I’ve given all that up to work freelance so I can pursue my dream to travel the world. I became a full time in-house translator and interpreter for an IT company. Even though I barely know how to run a WordPress site, the fact that I came recommended (and I could read and write Japanese to business level) was enough. Introductions are huge in Japan. You never know where your next lead will come from. Being in Japan though is the biggest advantage you could ever have. Meet people! Get out there. Listen. Learn. Act. Great things will happen. Some just teach more private lessons to gain extra money, but I know people who do everything from paint to sell craft tables, to running coffee shops and teaching bakery in Japanese and English. I’ve met craft beer brewers who run their own bars while they teach English to help pay the bills. You can really do just about anything you can put your mind to once your feet are on the ground in the country and you know some people. We can discuss visa restrictions and how to get around them for another time. Basically, the sky truly is the limit once you are here. Often we are limiting ourselves by not knowing what we can do. Why yes, of course. If you read about getting a job IN ENGLISH online, no wonder you wind up seeing so many posts on blogs and sites about teaching English. Search in Japanese and it’s not the case. No brainer right? So although you may not see a lot about it, YES lots and lots of 外国人 gaikokujin work and have their own businesses in Japan who are able to work solely in English. Well, sorta. I don’t think you can completely avoid using Japanese in Japan. A lot of those are exceptions to the rule where the boss was a foreigner or bilingual and didn’t mind. Basically these people have connections and didn’t come into the job via the usual route (search, apply, interview). They knew people who knew people and they could do whatever the job was. What if you get hired for Nissan in the Detroit branch and then the company asks you to go to Japan to work indefinitely? There are a lot of bankers and traders in Roppongi working for years making $100k who can barely say Konichiwa! That being said, these are all back door opportunities. If you want to come here and get real success you should know at least up to a B1-2 level of Japanese (JLPT 4-3) minimum to just be able to interact with co-workers and society without causing others trouble. Even this moderate level of communicative Japanese will put you above foreigners with more experience and qualifications. If you speak absolutely no Japanese in Japan, even if your co-workers help you and even your land lord is accommodating to you in a language you understand, know that you are causing others to work harder around you just to accommodate you. This isn’t helpful if you want to be very successful in Japan and get the better, higher paying jobs. 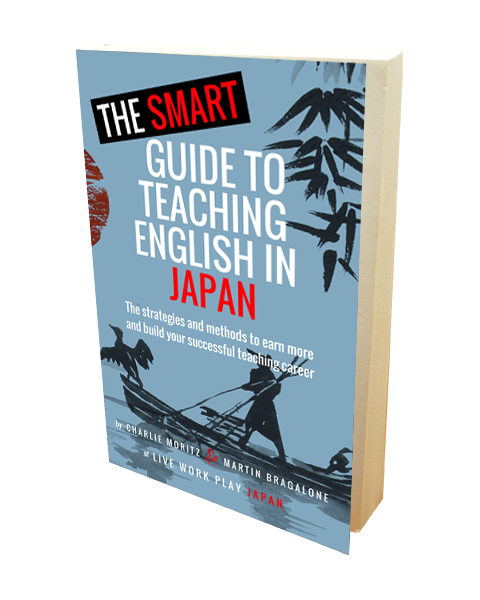 Most of us realize that at some point and even if you are an ESL teacher who is discouraged from using Japanese at work, people still want you to learn to make it easier to communicate with Japanese staff. Private teachers, freelancers, of any trade your mind can imagine. I know private karate teachers, artists, language teachers, steel pan instructors…who use no Japanese AT FIRST in their jobs… They are all exceptions to the rule. Every last one of them. They are not the rule. The rule is, if you want to get ahead, learn to speak at least B1-2 level so that you can interact with Japanese people (the vast majority of whom speak no English). You can do this after you arrive, but do learn Japanese. This is what I have learned in 6 years living in Tokyo. Be careful with recruiting agencies. They can be your best asset or your most annoying source of spam in your inbox if you’re not careful. I know of so many my mind would explode trying to recount them but know there are a just a huge number of agencies so just search online. Many go bankrupt every year. There are agencies for every possible industry you could think of. There are even agencies claiming to serve companies seeking foreign employees, but be aware of these. They aren’t always able to deliver anything at all, and may actually reduce the pay you could get from applying directly to the school or company as their fee comes out of your paycheck. 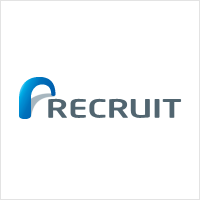 A useful one I found was “Recruit” as it was massive and well connected, but they spam you like no other company I’ve ever known. I always advise people to create a new email account just for recruiters. There’s useful stuff in there but so much rubbish you don’t want to deal with in your personal inbox. Once you sign up for one, you end signing up for 10 as they give your email to tons of third parties. At first those emails are great because they are either educational or have job opportunities in them, but after you finally do get a job they will not stop emailing you. I could never figure out how to end my subscription on some of them. No matter what I did, I still got the emails. When I was visiting Vietnam, I learned a new phrase. People like to say that the road is in their mouth. This means that if lost, no worries, they just ask for directions. The same goes for landing your first gig or a better gig than what you already have in Japan. Remember, you gotta have faith. If you want to work in Japan AND be happy doing what you do, you can. You really can. Get your feet on the ground and make it happen! You can do it like so many before you have! What industry do you want to work in and what languages do you speak? Do you have Japanese skills or have you not started yet? Let us know in the comments below! Disclaimer: This page has affiliate links that support our website (pay for servers, articles and cups of coffee).